Dominion Soil Science is an established soil science company and specializes in the evaluation of soil for placement of on-site drainfields and alternative on-site sewage disposal systems. 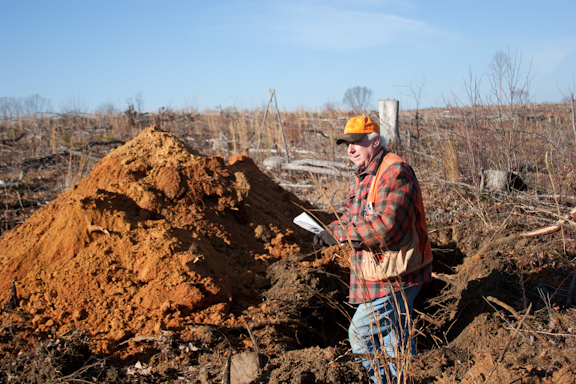 We would like to assist you in your future on-site sewage treatment system project by performing your soil evaluations in the Fredericksburg area and surrounding counties. Our philosophy is to provide timely, dependable, economical and innovative solutions for our customers. Our goal is to provide quality and efficient service while educating the customer on the different types of systems and services available. With our over 40 years of combined experience, we are confident that we can provide you with a solution that will last for years to come. Dominion Soil Science’s, On-site Soil Evaluators (OSEs) and Certified Professional Soil Scientists take pride in delivering exceptional quality and service to our customers. Our dedicated office staff will be there every step of the way for support and guidance during your evaluation process. We are committed to providing quality and efficient service for all types of on-site sewage disposal systems, from the individual homeowner to the commercial developer. On every site specific soil evaluation we strive to find our clients a conventional drainfield. 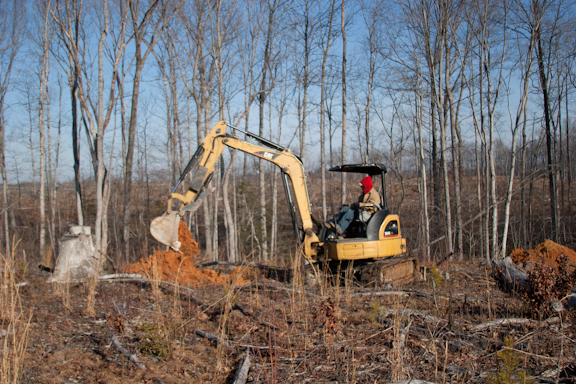 One of the unique methods Dominion Soil Science uses to achieve this is a mini excavator. The mini excavator allows for more effective soil evaluation than a hand auger. Additionally, it allows for observation of in place soil structures, water flow, root growth, permeability restrictions, and deeper permeable layers. This all increases the likely hood of finding a desirable conventional drainfield solution, saving our clients money and maintenance headaches down the road. 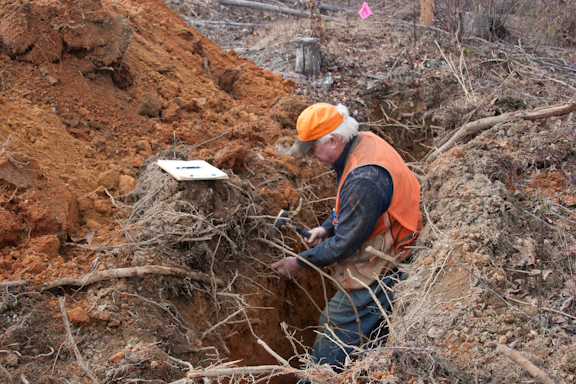 Soil mapping can be a very important step in the feasibility stage of any project. Dominion Soil Science is highly experience in the creation of soil survey maps that provide information for the number of bedrooms, potential wetlands, critical areas to be avoided or put in open space, and possible lot configurations all to a high level of confidence. These are important considerations in the decision process. Additionally, our detailed survey maps will help to eliminate costly development expenses by identifying problems in the early stages of land use planning. In such a fast paced environment it is important to have people you can rely on. Through partnerships with top notch engineers and surveyors Dominion Soil Science can provide you with turn-key service in a one stop shop. We can be your one point of contact for your project and provide surveying, engineering, county submission, installation and inspection services. We can even operate and maintain your system though our business partner Dominion Septic, Inc. Call us today to see how we can help to streamline your project and provide you with a simple one point project contact. From 1976 until his departure from Fauquier County in 2004, Danny also practiced Soil Science part time as an independent consultant. 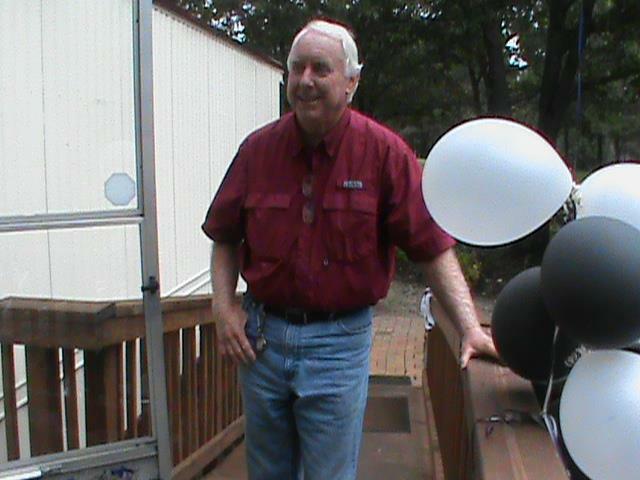 Operating as Hatch Soil Consulting, he focused on the evaluation of parcels for drain fields from Virginia Beach to Bland County in Virginia and was also very active in Northeastern Tennessee. Danny has also had the privilege to serve on various legislative committees and participate in Health Department rules and regulation studies. In 1994, he was appointed by Virginia Governor George Allen to the Sewage Appeals Board. Danny is a member of the Virginia and National Onsite Wastewater Recycling Associations, National Society of Consulting Soil Scientist and has been president of the Virginia Association of Professional Soil Scientist. Dominion Soil Science is an established soil science company and specializes in the evaluation of soil for placement of on-site drainfields and alternative on-site sewage disposal systems.